Now Microsoft releasing themes for Windows 8. This theme can work on both Windows 8 developer preview and on Windows 8 consumer preview. You can download windows 8 consumer preview and developer preview. The theme is named as Nightfall and Starlight panoramic theme and consists of 9 very beautiful wallpapers. Being Panoramic images these images would extend on both the screens if you are using dual monitors of same resolution. If you are using a single monitor, the central part of the wallpaper is shown. 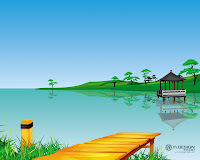 This theme can only be used in Windows 8 Consumer Preview or Windows Developer Preview. Panoramic images will automatically extend across both displays of a dual-monitor setup if both monitors have the same resolution settings. If the displays are different sizes or have different resolution settings, a different image will appear in each monitor. 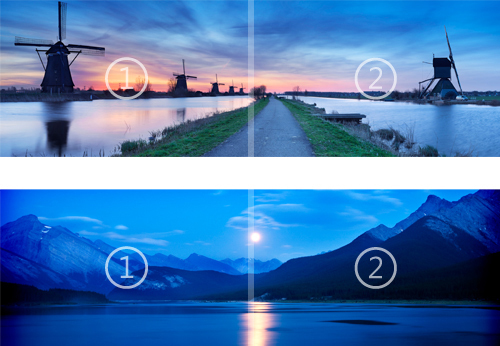 Panoramic themes can be used on single monitor setups, but only the center part of the image will be visible.